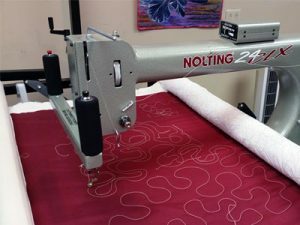 We sell new and used longarm quilting machines, service and repair them, and provide longarm machine parts. 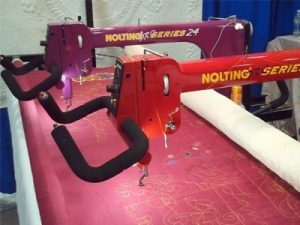 Whether you’re a novice or a professional, we carry quilting machines that will fulfill your needs and fuel your creativity! There are package deals available that provide everything to get you up and running! 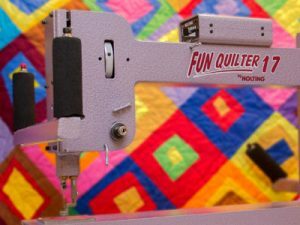 The Mid Arm Quilter 14” provides professional quality for hobbyists. 14” throat depth with 8” of inside height. Works on any quilting machine frame. Features an adjustable speed controller. The Quilting Bee has a 15” throat depth with 8” of inside height. 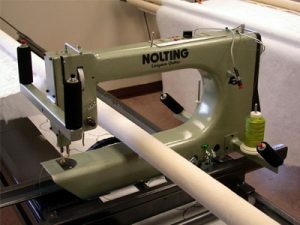 This machine offers a 30” x 48” round corner table for extra sewing surface. Round hopping foot makes it easy to use with rulers and templates. 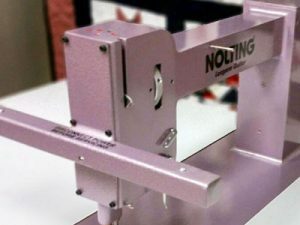 The Quilting Bee boasts a lightweight machine body despite being made of strong solid aluminum. No brochure available. Please call for details. Package deals will also be available with over $400 worth of merchandise, supplies, and classes included. 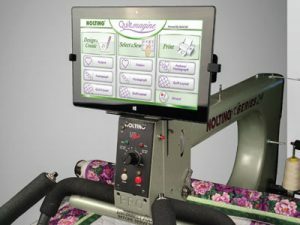 We offer machine/frame packages to fit your quilting needs. 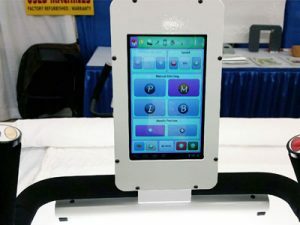 If you buy a machine and commerical frame together the cost of the frame will be reduced to $3,500. 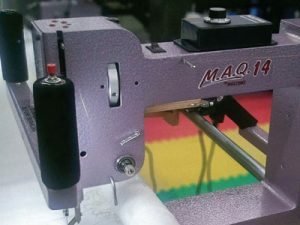 All packages include machine, frame, needles, bobbins, commercial bobbin winder, oil, patterns, clamps, leaders, product manuals, and 5-year warranty and classes (4–6 hours maximum). Quality is job one. Each machine is built individually by a skilled craftsman at the Nolting manufacturing facility in Hiawatha, Iowa. Made in U.S.A.